There is a question on Stack Overflow that has a bounty for 400 reputation points. I have answered the question after user Leyenda. Leyenda's answer is actually false (it does not work the way he/she suggests) and if you follow the detailed example I provide in my answer you will notice that Leyenda's answer does not work(something confirmed by another user), she/he was very close to the correct answer however. In any case it got upvoted twice. I am not asking for votes. I am very curious however, as OData security is a topic that I am very much interested in, what can one do in such case to protect the correct answer? Flagging is not (to my understanding) the right tool: Leyenda's answer was not spammy or something. Just wrong. Downvoting only goes half the way. People browsing through quickly and not bothering to check should not be voting on answers (I am assuming the two upvotes were due to this). I just want to stress that I mean no offence to anyone (especially not Leyenda who, as I mentioned in my answer, was close to the correct solution) and, honestly, I have been guilty of not being very careful in the past. I am just asking for ways to handle such situations, and maybe provoke some discussion on fast upvoting and downvoting. I know that accepted answers are not always the most upvoted ones. This is a good thing in my opinion; the community gets to pick the right one from the bunch. This situation however is different as the community picked an obviously (anyone who actually checks will see) wrong answer. I did comment on the wrong answer and the other user that later confirmed mine also commented, and the OP did not fix his answer. The issue was that even when I downvoted, the two answers had equal votes. I think the problem is that there is no way to confirm that someone that up-votes or down-votes really knows what he\she is doing. MAYBE, perhaps, the reputation required to vote up or down should be increased or a user should be able to vote up or down only after he\she answered at least an X amount of votes. If you think that the answer is so wrong it's dangerous leave a comment explaining why you think it's wrong. The OP will get notification of the comment so they can fix or delete it (unless it's the accepted answer of course). Other users will see your comment and, hopefully, come to the same conclusion as you. The only caveat is that I'd make your down-vote and the adding of the comment relatively far apart so that there is less chance that the OP will associate the two and perhaps engage in a little revenge down-voting. I certainly wouldn't mention that you down-voted in the comment itself. Down vote any incorrect answer. Leave a comment explaining why you believe the answer is incorrect. Check if the poster corrects the answer or perhaps give you an explanation of why they believe it is correct. If the poster fixed the incorrect statements in the answer so that it is now correct, consider to remove the down vote. In case there are no good, correct answers, consider to leave an answer on your own. In your answer you can also mention why method "x" is incorrect/unsafe etc. Flagging is not appropriate for incorrect, yet on-topic answers. This is sad, but you can do absolutely nothing except of downvote wrong answer and hope that other people will downvote it. Because I think it is wrong, I will try to explain why. I do not understand why SO moderators think that it is ok to have wrong answers here. But wrong new answers are not really as bad as wrong (or outdated) old answers with many upvotes. And there are a lot of them. The problem with them is that mostly people who know the answer can understand that the answer is wrong or does not make sense anymore. Inexperience users will just go with a flow and take 100+ upvoted wrong answer, not checking that there is correct answer with 2 upvotes. What is a lighting, how is it generated? Then during 10+ centuries hundreds of people thought that this is correct (or may be added something similar with their different God) and upvoted it. 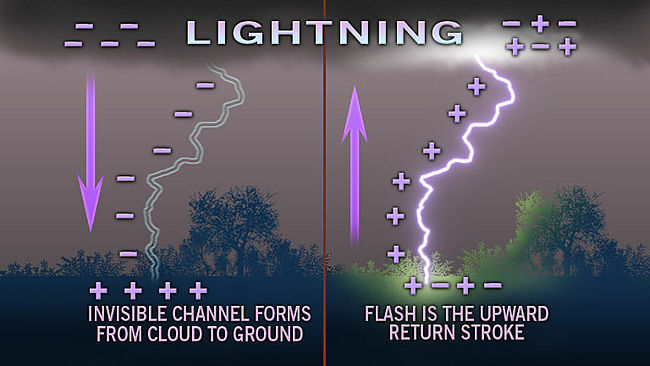 Not a lot of people can grasp it, and out of few of them, only some cares to upvote, so for this answer we ended up with +500 for Zeus who throws lightbolts and +5 for a more appropriate explanation of electricity. Do we really want it to happen just because long time ago someone was wrong? This is why I think that SO have to delete wrong/outdated answers. 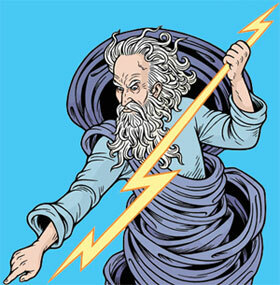 Otherwise some people will believe that Zeus throws lighting bolts. One potential reason answers get upvoted and accepted as correct is because while they might not be 100% correct, they helped whoever asked the question (and obviously future askers given the fact it has multiple upvotes) to get it answered. For example, if I ask how to implement a certain piece of code and somebody provides with good pseudocode, I will accept and upvote it. Is the code "right" in the sense that it will run if copied and pasted into an IDE - no, did it help me solve my problem - yes. Another reason is that technology changes constantly and what was the right answer in 2011 could be wrong in 2014. Real example: How to create custom methods for use in spring security expression language annotations. The original answer from 2011 was accepted and upvoted, but if you scroll down there's a newer answer from 2013 and turns out Spring Security changed things around and the 2011 answer was no longer valid. In this case, I don't think the original answer should be voted down since the responder answered it correctly at the time it was asked. I'm afraid this is a "me too" answer (the alternative was yet-another-duplicate-question), but I hope it adds an interesting perspective. The accepted/upvoted answer is clearly wrong to someone with experience in this area, and clearly plausible to the naive. The OP said "this does not work (my program hangs)" The author of the answer replied with a comment that said "Oh you should use this hack (timed wait on a condition variable)" and that was the end of the discussion. The answer itself was never fixed and is still wrong. Yesterday I posted a correct answer, downvoted the incorrect answer, added comments that indicated what was wrong with it and asked the answerer to edit the code in the answer to (at least) reflect the conclusion reached in the comments. So is there any other way to help the community process fix this situation before it misleads future SO users? Just to be clear, I'm not in this for rep -- I'd gladly delete my answer if Nim fixes his. I just hate having to diagnose and fix this problem yet again the next time one of my co-workers finds this misleading answer. Update: Nim updated his post, but he took a different approach, so I left my answer up, too. I.e: the process worked -- the answer is now usable. It's my "fault", as I initially voted for the other user a few days before your post. I had the impression that was enough (his answer). However, I really wanted to see how/if it works and I created a test project of my own and got pretty much were you got. You beat me to it as I as about to post an answer the same day. So, you could say it was voted in a hurry, but appearances can be deceiving as well (it looked good to go). So, that was the reason behind the upvote. I couldn't change it after because the other user didn't edit his/her post anymore. You get rep/badge as an editor, the answerer gets rep for a good answer (and can fix their own knowledge), and readers of the question get to see yet another correct answer, and are saved from a dangerous error: everyone wins. If your edit is rejected (as would have happened in this case), post a correct answer, if necessary poaching the 'nearly correct' answer text with attribution, as is encouraged by its Creative Commons license. Add a 'what not to do' paragraph to your answer. If you are still convinced that the other answer is harmful rather than merely ineffective, then downvote 'not useful' and explain why, but be prepared to be corrected. What should I do if an existing answer was wrong? Should I remove a wrong answer?